From this moment, despair ends and tactics begin. Now then, what’s this all about? Workers at the Shirley, Solihull branch of “Spectrum for Arcadia”, a logistics depot that’s part of the DHL Logistics Supply Chain and supplies major brands such as Topshop and Burton’s, walked out on strike today as part of a pay dispute. It’s one of the busiest days of the year for online shopping, and presumably orders placed on “Black Friday” will still be working their way through the supply chain as well. Warehouse and other supply chain workers always have a fair amount of disruptive power, but that’s magnified in the shopping rush in the run-up to Christmas, so it’d be worth keeping an eye out for other stories like this, or the judge who ordered striking pilots back to work because their planes carried Amazon packages. At the very least, I think it’s important to spread this news among Spectrum/Arcadia workers – I’d like to hope that the GMB would be doing this already, but who knows? A quick bit of research shows that they’ve definitely also got locations in Milton Keynes (complete with some interesting reviews from former staff) and in Leeds, so those places would seem like promising places to try and spread the action, or at least to spread the word about what the Solihull staff have been up to. "The impulse to fight against work and management is immediately collective. As we fight against the conditions of our own lives, we see that other people are doing the same. To get anywhere we have to fight side by side. We begin to break down the divisions between us and prejudices, hierarchies, and nationalisms begin to be undermined. As we build trust and solidarity, we grow more daring and combative. More becomes possible. We get more organized, more confident, more disruptive and more powerful." 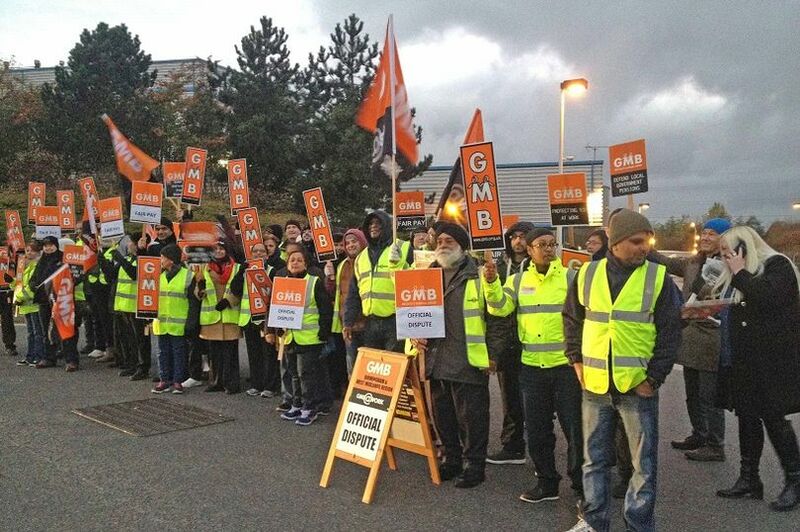 This entry was posted in Strikes, Unions, Work and tagged Arcadia, DHL Logistics, GMB, logistics, Spectrum. Bookmark the permalink.